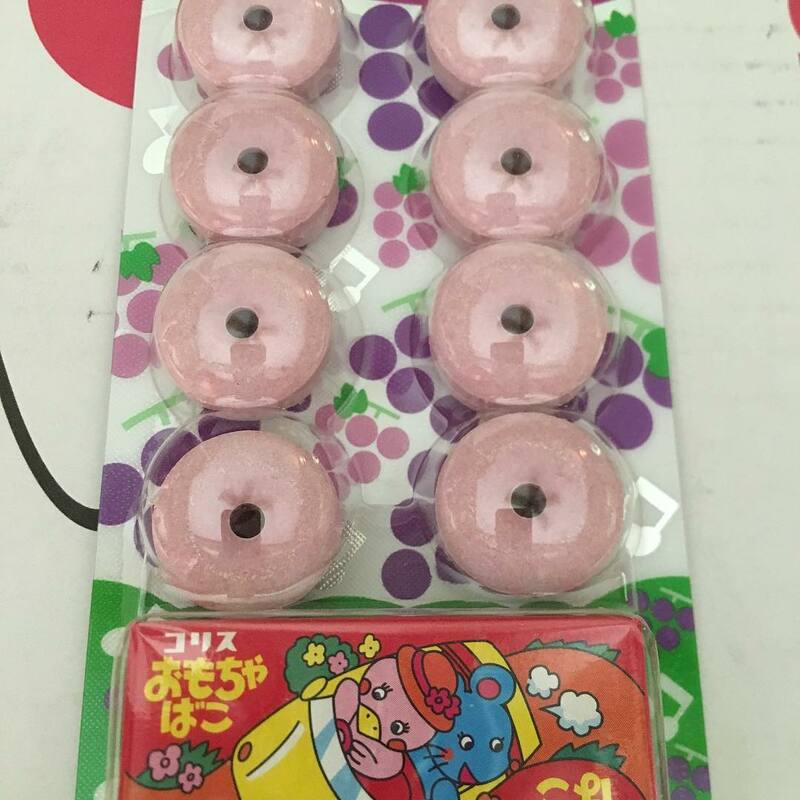 One of my favorite treats in the mini funbox were these fruity grape hard candies. When you blow through the center of the candy it makes a fun whistle sound (hence the name “Whistle Candy”). But really my fave part was the surprise toy box that’s included with the candy. 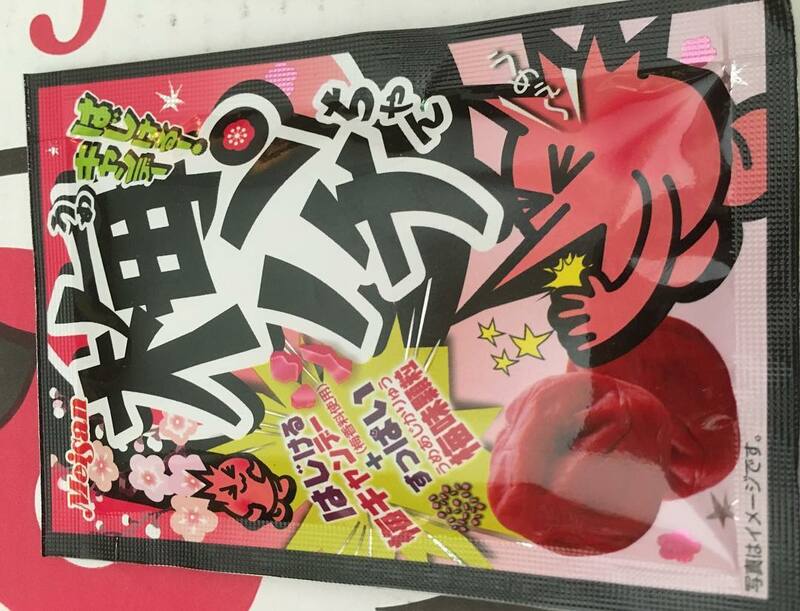 Next up, Ume-pachi, this fun and super sour plum flavored snack. It’s quite similar to “Pop Rocks” and the plum flavor is super good. One of the only snacks I’d heard of before or familiar with before receiving this box. Pretz are light thin pretzel sticks that come in a lot of different flavors. 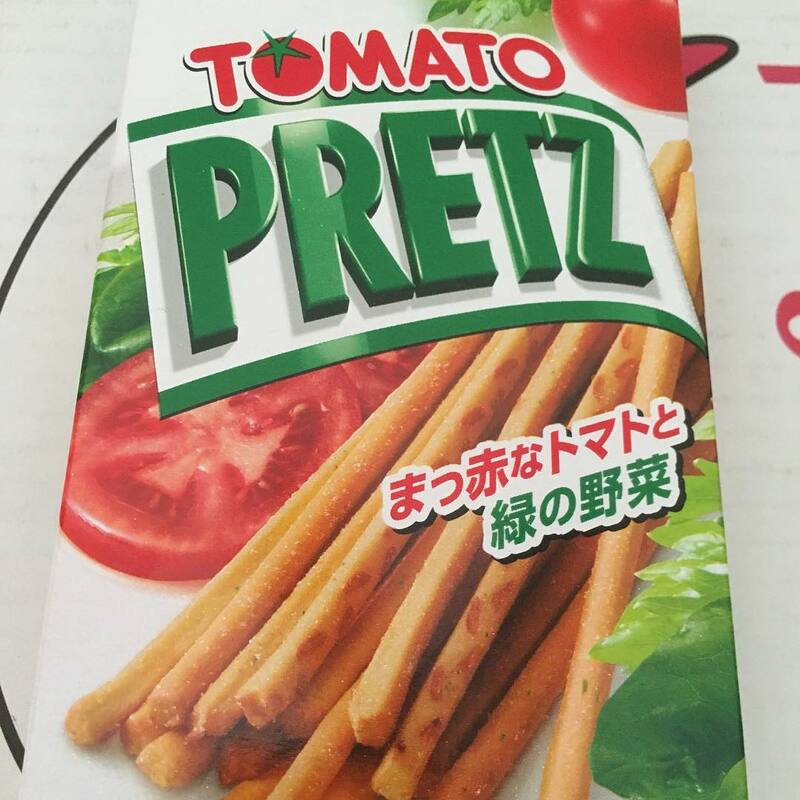 This box contained Tomato Pretz. I’ll be honest, I didn’t really care for the tomato flavored ones. But it was neat to get to try a new flavor. My favorite Pretz are still the strawberry ones though which I’ve had a few times before. Shuwabo – In terms of chewy texture and appearance, these cream filled rope-like treats reminded me of an American sweet called “Cow Tales”. If you like “Cow Tales”, you’ll probably like these too. YUM!!!! 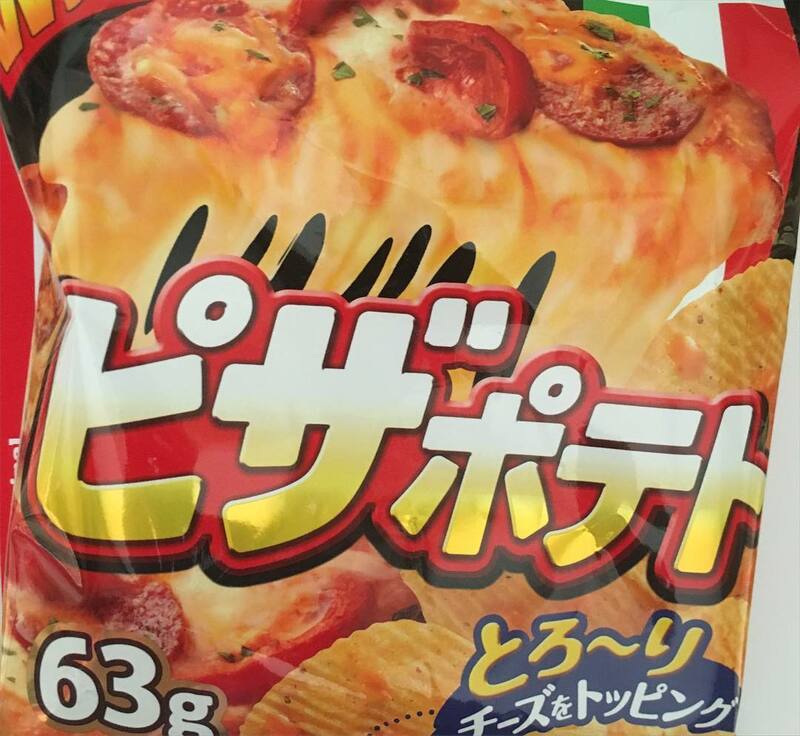 Pizza flavored potato chips called simply “Pizza Potato”. Does anyone remember pizza flavored doritos here in the States? 🙂 These are like that, only better. The item at the top of this list of things to be included was actually not in my box 🙁 Sadness. I assume it was a packing mistake. My box also arrived kinda disheveled so it could have been lost in the post I guess. It’s called Alfort and it’s supposed to be a chocolate “biscuit” which I assume would be similar to Milano cookies – a type of hard biscuit cracker in the states which people soak in tea or coffee. One of the best things about Japan Funbox is it comes in 3 unique sizes to fit your needs and budget. The minibox which we reviewed here starts at $14.99 a month. The original is $32.99 a month and has 15-20 items (compared to 5-7 items in the mini). The original box also garuntees at least 1 DIY type candy and 1 “special item” (like a toy or “Adult candy” (whatever that may mean?)) The largest subscription is designed to be enjoyed by your whole family and costs $49.99 a month. In the family box you will get at least 2 DIY type candies and 2 special items and a total of 25-30 items. If you’re buying it just to enjoy by yourself this gives you a different candy every day! that’s pretty neat. 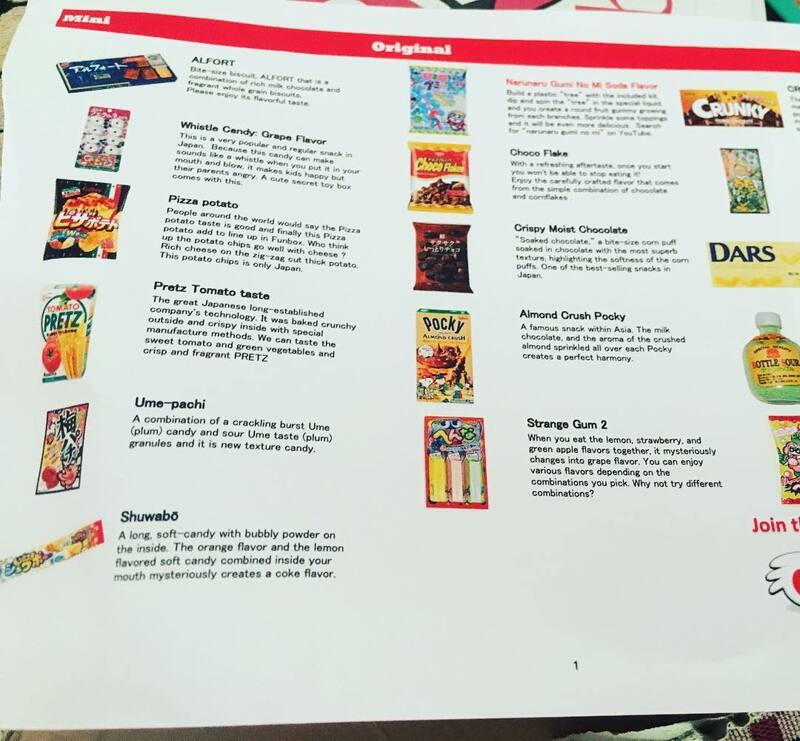 Overall, I think Japan Funbox has plans to fit any budget, and their price is fair when you consider how expensive shipping and importing Japanese snacks can be! There are some things in each box which are hit or miss in terms of flavor, but it definitely is one way to expand your horizons if you’re feeling adventurous! 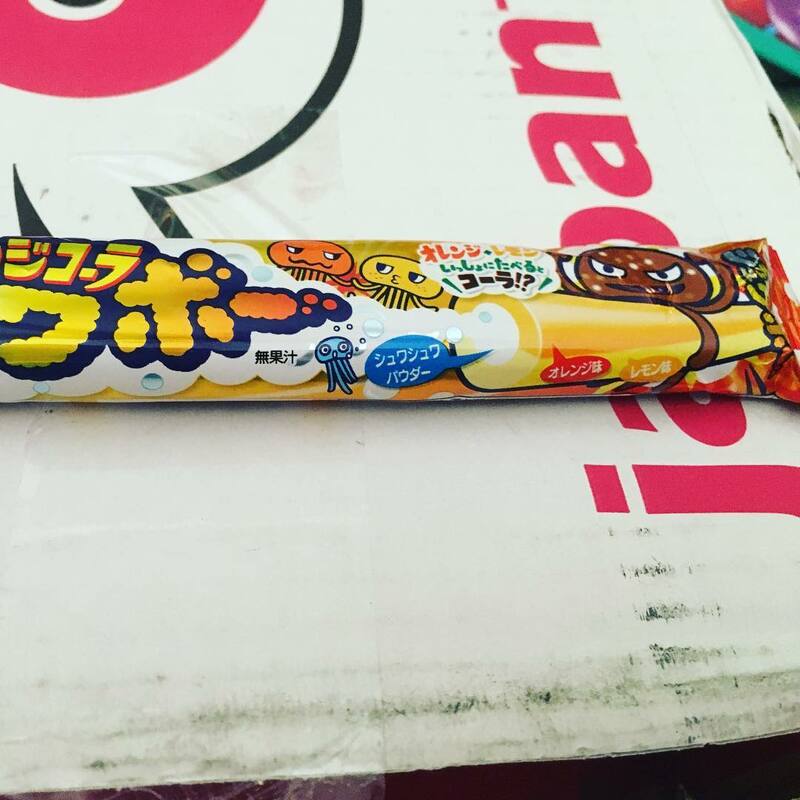 If you love trying new Japanese snacks you can get introduced to new flavors and new brands that you may not order for yourself normally. Or if you’re new to Japanese sweets and don’t know what you might like it’s a good way to introduce yourself to some new snacks. I also like that the box contained a pretty even balance of salty and sweet snacks to please both those who crave sweets and those who like salty flavors. Feeling hungry? 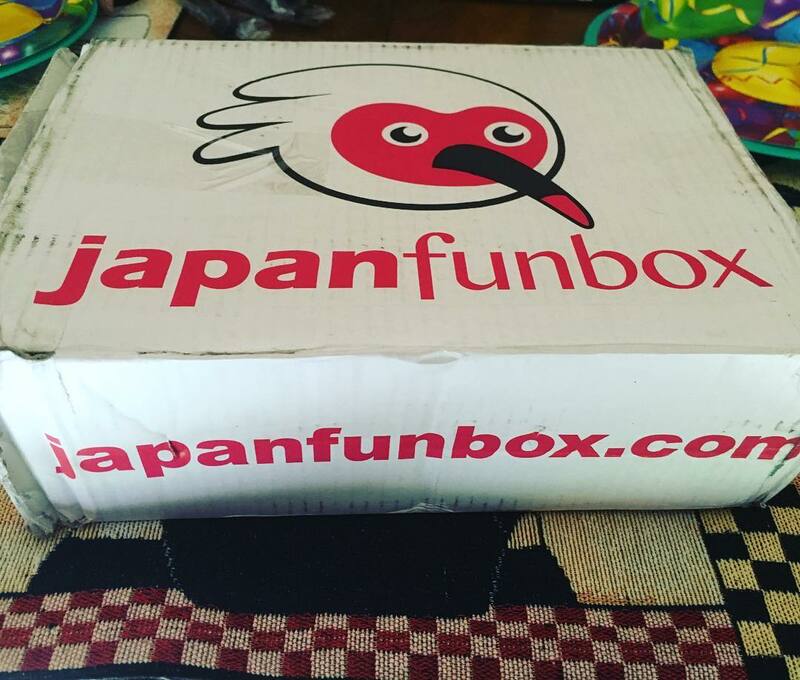 head over to https://japanfunbox.com/ and sign up for your own funbox today!